Hannah’s coaching is based on her belief that we aren’t broken. We don’t need to be fixed. We are smart and soulful, full of wisdom that we may lose touch with sometimes or need help finding for the first time! Partnering with horses, clients uncover hidden patterns and limiting beliefs that are holding them back. Then they are able to practice and truly feel what it’s like to shift those old ways of being. This opens up a whole new world of possibility and creates the opportunity for real change. 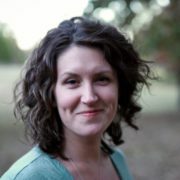 Hannah lives with her husband and two kids in Fayetteville, AR, nestled in a little valley in the Ozark Mountains. When she’s not playing with her horses, you can find her running her other business, a dance studio, or walking the trails around her house with her dogs.